In this article, I’m going to provide you with a list of the Top 10 Most Effective Opiate Withdrawal Medications. I’ve been researching and blogging about opiate withdrawal remedies for almost three and a half years now, and as a result, I’ve learned some really cool stuff! As of today, I’ve found more than 60 opiate withdrawal remedies, which fall into the categories of prescription medications, over-the-counter medications, natural drugs, supplements, nootropics, natural remedies, and home remedies for opiate withdrawal. The focus of this piece is to inform you about the Top 10 Medications for Opiate Withdrawal that I’ve found to be the most beneficial. 10.2 Opiate Withdrawal Medication Comments? Some are prescription medications that you can only procure by seeing a doctor or psychiatrist, and some are over-the-counter medications that you can obtain without a prescription. I’ll provide a brief overview on each opiate withdrawal medication’s mechanism of action and benefits, and if you want to learn more detailed information (such as recommended dosages) you can click on the links provided to read entire articles dedicated to the medications you’re interested in. Now that you’re aware of the framework of this article, let’s dive right in and start learning about the Top 10 Opiate Withdrawal Medications THAT WORK. Methadone is one of the only prescription opiate withdrawal medications that can totally eliminate 100% of your opiate withdrawal symptoms. This is because methadone is a powerful opioid drug. Methadone binds to the same opioid receptors in the brain and other parts of the body that drugs like heroin, oxycodone, hydrocodone, morphine, and other opioids bind to. Once methadone binds to these receptors, the opioid effects come on. After an individual takes a dose of methadone, the drug quickly binds to the opioid receptors, and if enough is taken, withdrawal symptoms and opiate cravings are completely eliminated. Many people that want to get off opiates without withdrawal enroll in methadone treatment facilities, which are outpatient programs that are commonly referred to as “methadone clinics.” Click here to learn more about this popular medication for opiate withdrawal. Approved by the FDA in 2002, buprenorphine has since become one of the favorite opiate withdrawal medications among individuals that are addicted to opiates. Buprenorphine, sold under the mono-drug brand name Subutex, and under the combination-drug buprenorphine/naloxone (brand names Suboxone or Zubsolv), works in the same way that methadone does, only not as strongly. Buprenorphine, like methadone, attaches and binds to the same opioid receptors in the brain and other parts of the body that drugs like heroin, oxycodone, hydrocodone, morphine, and other opioids bind to. Once it attaches to these receptors, it mimics the effects that opioid drugs produce (though it’s not as powerful). The other opiate drugs I just mentioned are known as “full opioid agonists,” because they activate the receptors in a stronger and more complete way than buprenorphine. See the illustration below. Buprenorphine is one of the most widely-prescribed opiate withdrawal medications, and many people decide to continue taking buprenorphine as a long-term Opiate Replacement Medication to prevent cravings and opiate-relapse. Click here to learn more about this effective medication for opiate withdrawal. If you’re looking for the best opiate withdrawal medications you can get your hands on, look no further. Gabapentin, sold under the brand names Neurontin among others, is a prescription medication that can ultimately prevent you from experiencing opiate withdrawal symptoms, so long as you take the right dosage. 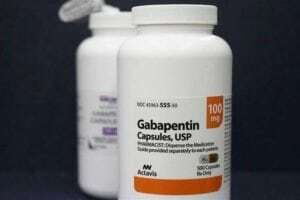 Gabapentin was designed by chemists at Parke-Davis to be an analog of the neurotransmitter GABA that could more easily cross the blood-brain barrier, thus making the effects in the brain very significant. Gabapentin has been shown to be a very effective opiate withdrawal medication in numerous studies. Click here to learn more about this powerful medication for opiate withdrawal. Another one of the top opiate withdrawal medications, pregabalin has the ability to mitigate the severity of your withdrawal symptoms in a major way. Pregabalin, marketed under the brand name Lyrica among others, is a prescription medication that is very similar to gabapentin. Like gabapentin, pregabalin is a GABAergic anticonvulsant and depressant of the central nervous system (CNS). This means that it significantly relaxes the body and mind. Pregabalin is classified as a GABA analogue and gabapentinoid. It is a close analogue of the inhibitory neurotransmitter GABA. Pregabalin has been shown in a research study to significantly ameliorate opiate withdrawal symptoms, making it one of the most highly-effective and beneficial opiate withdrawal medications in the world. Click here to learn more about this top medication for opiate withdrawal. Loperamide is one of my favorite over-the-counter medications for opiate withdrawal. Loperamide, sold under the brand name Imodium among others, is used to decrease the frequency of diarrhea. Loperamide is an opioid-receptor agonist and acts on the mu-opioid receptors in the myenteric plexus of the large intestine. Loperamide works like morphine, decreasing the activity of the myenteric plexus, which decreases the tone of the longitudinal and circular smooth muscles of the intestinal wall, thus creating a constipating effect. At low dosages, loperamide is able to stop the diarrhea and stomach pain/cramping that results from the abrupt cessation of opiates. At moderate to high dosages, this opiate withdrawal medication is actually able to significantly reduce all withdrawal symptoms, not just gastrointestinal (GI) distress. Click here to learn more about this amazing opiate withdrawal medication. This is another one of the most-commonly-prescribed opiate withdrawal medications. Clonidine, sold under the trade name Catapres and others, is a blood pressure (hypertension) medication that belongs to a class of drugs known as central alpha agonists. Clonidine is one of the most-commonly-prescribed opiate withdrawal medications for a reason…it works! Clonidine is by no means a “magic bullet,” because it doesn’t eliminate all of your opiate withdrawal symptoms. Multiple studies have shown clonidine to significantly reduce the severity of opiate withdrawal symptoms. Click here to learn more about this highly-beneficial medication for opiate withdrawal symptoms relief. Widely regarded as some of the most effective medications for opiate withdrawal, benzodiazepines, commonly referred to as “benzos,” are a class of psychoactive drugs whose core chemical structure is the fusion of a benzene ring and a diazepine ring. Benzodiazepines enhance the effect of the neurotransmitter GABA at the GABA-A receptor, resulting in effects that can be very helpful in relieving opiate withdrawal symptoms. The use of benzodiazepines as highly-effective opiate withdrawal medications has been reported in numerous studies, as well as in anecdotal evidence, especially from individuals that have used the Thomas Recipe for opiate withdrawal. To learn more about these amazing medications for opiate withdrawal, click on the following links for a complete article on how to use specific benzodiazepine drugs, including Klonopin, Ativan, Librium, Valium, and Xanax. Here’s a very interesting opiate withdrawal medication that many people are not aware of, including most doctors. Dextromethorphan (DXM) is an antitussive (cough suppressant) drug found in over 125 over-the-counter cough and cold medications, including Robitussin, Coricidin, and Vicks. So, how does DXM weigh in on the list of the top medications for opiate withdrawal? One of the ways DXM helps to reduce opiate withdrawal symptoms is by increasing certain neurotransmitters in the brain. But even more important than its ability to enhance neurotransmission is DXM’s activity at the NMDA receptors. Simply put, DXM is one of the most effective over-the-counter medications for opiate withdrawal because it’s an NMDA antagonist and because it increases your serotonin and dopamine levels in the brain. Multiple studies have shown DXM to be an effective opiate withdrawal medication that is capable of mitigating symptoms in a major way. Click here to learn more about this inexpensive, over-the-counter medication for opiate withdrawal. Here is another one of the lesser-known prescription medications for opiate withdrawal, which is very effective at reducing withdrawal symptoms. Baclofen, sold under the brand name Lioresal among others, is a centrally-acting skeletal muscle relaxant that was approved by the FDA in 1977 for its ability to reduce muscle spasms, muscle tightness, and pain. As an off-label use, many people have now benefited from using baclofen as an effective medication for opiate withdrawal. More and more people are using baclofen as an opiate withdrawal medication because its chemical makeup closely resembles the neurotransmitter GABA. Baclofen is similar to benzodiazepines in this regard, however, baclofen binds to a different subtype of GABA receptors, which leads to similar, though distinctly different effects. While benzos bind to the GABA-A receptors, baclofen binds to the GABA-B receptors. In research studies, baclofen has proven to be worthy as one of the most effective medications for opiate withdrawal symptoms relief. Click here to learn more about this awesome opiate withdrawal medication. Finally, we get to the last of the Top 10 Medications For Opiate Withdrawal. Tramadol, sold under the brand name Ultram among others, is a prescription opioid medication used to treat mild to severe pain. Many individuals have reduced the severity of their opiate withdrawal symptoms by using tramadol. Tramadol has a few mechanisms of action which enable it to be an effective medication for opiate withdrawal symptoms relief. Since tramadol binds to the mu- opioid receptors in the body, this allows it to stop opiate withdrawal symptoms right in their tracks. Furthermore, the SNRI antidepressant quality can also help to reduce opiate withdrawal symptoms. SNRI’s have been shown to be effective for treating anxiety, depression, panic disorders, and some other mood disorders. Some popular SNRI’s include Effexor, Pristiq, and Cymbalta. Tramadol has been shown in numerous studies to be a highly effective medication for opiate withdrawal symptoms relief. Click here to learn more about this popular opiate withdrawal medication. If you’re feeling overwhelmed from reading all this information, I don’t blame you. We’ve just covered a lot of opiate withdrawal medications and went deep into pharmacology and brain chemistry concepts. If you’re anything like me, you learn especially well by watching informative video tutorials. If you’re interested in learning more about opiate withdrawal medications, as well as other withdrawal remedies such as natural drugs, dietary supplements, nootropics, natural remedies, and home remedies, then I encourage you to check out the Ultimate Opiate Recovery System. In it, you’ll find a 2-hour webinar where I explain in detail how to use over 50 of the top opiate withdrawal remedies in the world. You’ll also learn exact dosages of medications and other remedies that will be the most beneficial for easing opiate withdrawal symptoms from the comfort of your own home. Click here now to view the Ultimate Opiate Recovery System. If you have any comments or questions on these Top 10 Medications For Opiate Withdrawal, please post them in the comment box below. I really love your site and all the hard work you put into it. I’m referring many people to it and have been trying many of your suggestions. I would like your opinion on Lucemyra (Lofexidine,) which was approved by the fda in May 2018. It was designed to manage the symptoms patients often experience during opioid withdrawal. I have been taking methadone for the past 2 decades. My doctor has tapered me from 60mg a day (nov)to 30 to 20 and now to 10mg a month. I was managing with the 20 a day by taking 5 mg 4 times a day. The problem for me is at 10 mg a day I can’t go 6 hours let alone 12 hours without that 1/2 mg tablet. The side effect I get are burning and skin crawling feeling in my arms and hands. I’m taking gabapintin for neuropathy in my legs and feet but it has not helped in my arms and hands. I’m taking a lot of the supplements you recommended but still has not helped. I Have been taking Elimidrol Daytime for the last week which seems to be helping. Afraid to take the nighttime due to valerian. Afraid could burn my mouth like it does when i have tried it as part of a nighttime sleep aid capsule. I plan to order kratom white and Red, also Kava Extract, Passion Flower Extract and AKUAMMA SEED CAPSULES. I want to order the Cbd oil but it says has a hint of pine. I was wondering how strong the pine scent is cause I’m allergic to many scents. I have tried to call them and they text me back that they are to busy filling orders and said to text them so I filled out their online form but they never email me back. I appreciate your input. Matt, I just got to say what a wonderful and generous person you are for helping total strangers the way you do. I mean that from the bottom of my heart. Best to you and yours my friend! I coming off suboxone.im on my 3rd day.i did 5 yrs of methadone then switched to suboxone 4 yrs.i done with having a crutch.How many days of withdrawing for subs? been using benzos ,gabapintin,cbd and a little thc for nighttime. I have been on and off of opiates for about 20 years. I am 40 years old and have been on 100mg of methadon for a year. I am now mentally and spiritually ready to come off the methadone. What would you recommend as a plan of action for me? Tramadol for getting off opiates… it’s a schedule 4 drug and doctors aren’t so quick to rx it. It’s also my drug of choice, and the one my body is hooked on. I’m in a long taper right now, trying to break free once and for all. Every time i’ve run out and didn’t have money for an order, I’d use kratom to mitigate the symptoms, and it is a godsend. It helped more than anything. The very first time I stopped tramadol, I used gabapentin…it made me sleep like it was my job, and it was actually restful! Sometimes, too much… as in making me late to drop my daughter off at school and late to work. Tolerance builds up though, and if you end up going into withdrawal again from tramadol, the gabapentin dose needs to go up… after the first few days of no motivation and not feeling like doing anything but sleeping, energy slowly comes back. Supplements help. Hi Laura, thanks for leaving a comment about some of your story. DR pres Hydromorphone 4 mg ,2 yrs ago for chronic pain in a myriad of places thru out body. take 2 every 6 hrs. 1 month ago same DR told me Ark Leg passed law that NO ARK DR can write pain meds. I have found that that may NOT be the truth. My dr has chosen to not write pain meds anymore but with the opioid crisis esp in ArK he referred me to Pain Clinic where dr told me I would report May 11 with NO pain meds for 18 hrs! THAT causes high BP! I have malignant BP that destroyed L kidney size of thumb & R kidney + aorta both stented 2009. 17 days ICU almost died in ER. I was told “you WILL be VERY sick & think U have the MOST SERIOUS STOMACH FLU U HAVE EVER HAD- vomiting/diarrreah. MY concern with 1 kidney? Medications used to start vomiting/diarreah will cause dehydration which w/1 kidney? is a NO NO and can lead to renal failure. Then if live thru that? dialysis for rest of life. YES PAIN DR TOLD ABOUT 1 KINDEY AND malignant hypertension. I feel it went in 1 ear, collected speed, went out the other ear. ADAMANT about “following rules for withdrawal.” Kidney DR? has not formally “released me” BUT refused to refill hypertension meds! turned to cardio. I feel HE needs to KNOW about this and whatever the “prob” we need to work thru this. I feel MY life is at stake w/1 kidney and malignant hypertension, and possibility of renal failure from dehydration of vomiting/diarreah from withdrawal medication. Husband plans to almost demand meet w/primary care if not kidney dr. We believe I should be “monitored” in a hospital or place where what happens to me is closely watched. I have a husband ONLY to care for me as he has since 2009 when I almost died & diagnosed malignant hypertension and stenting of 1 kidney & massive aorta aneurism. Please please advise. I AM SCARED! Leg passed laws that NO AR Dr can prescribe ANY pain med but patients on opiods MUST go to pain mgt clinic & withdrawal and after ONLY pain clinic Drs are allowed to “mgt pain” for patient. That does NOT mean oral pain meds since Clinic “prefers” “alternative methods.” Shots, device implantation to “kill pain” to name 2. I am 71 yrs old with a myriad of chronic pain issues ALL proved with xrays, MRIs, catscans, degenerative disc disease throughout spine, scoliosis, R collar bone area arthritis after R broken collar bone break 2 yrs ago, healed but incorrectly. L hip extreme pain. BUT THE MAIN CONCERN?….I HAVE 1 STENTED KIDNEY WITH NOT FULL “CAPACITY:” L kidney destroyed by malignant hypertension is size of my thumb. The medictions for withdrawal that cause as was TOLD “you WILL be VERY sick, will think U have the worse stomach flu EVER- vomiting, diarreah…..BOTH cause dehydration!! NOT WITH 1 KIDNEY! Pain clinic DR in the “massive” new patient form……2 “bodies front/back” I highlighted the many areas of chronic pain (including hammer toes/curl under) so from toes to neck/DDdisease MRI proved that 2016….BUT my CONCERN IS THE MEDS……..AND THE DEHYDRATION & 1 KIDNEY AND GOIING INTO RENAL FAILURE………..iST May 11 I report after 18 hours of NO PAIN MEDS! PAIN CAUSES HIGH BLOOD PRESSURE!!! tonight BECAUSE OF WHAT I WAS TOLD I AM FACING? 187/97. Been on BP meds since 2009 when almost died from severe high BP/17 days ICU. So now? I’ve called cardio! Answer no help! will be contacting primary HE who prescribed this instead of simply putting me on a pain med NOT opidiod! Next will TRY to “reason” with kidney dr..who has me at Stage 4 renal disease but for whatever reason? denied refilling BP med recently so we turned to cardio for help! I have NEVERE had 1 ugly word w/him! HE scheduled me for an annual appointment? YES! ANNUAL? with my kidney conditions? there are ONLY 2 DR in this entire area who are BP-kidney Drs. the 1st one was hideous to ALL patinets so when #2 came kidney patients left #1 and fled in masse to #2. NOW? I guess Ive been kicked out and I/we do NOT know why! NOW I FACE THIS HORRIFIC DESCRIPTION OF ALL I WILL ENDURE…….from 18 hrs w/no pain med! to the horrific statements re withdrawal. I feel 100% abandoned and at my age I AM already showing signs of renal failure. But all that was told about withdrawal? Is most likely why BP soared. I have been in total fear after that meet with pain Dr.
I’ve been on heroin for about 1.5yrs now. I made up my mind I’m done but I’m so nervous about the withdrawals. I have 10mg methadone tablets but I really don’t want to get hooked on methadone. I haven’t used heroin since last night and I’ve already started to feel the withdrawals pretty bad so I ended up taking 3 10mgs tablets & it’s not really helping. I know tomorrow & the next day will be WAY worse! My question is should I take just a little bit of methadone then taper off each day? Also I can’t sleep AT ALL. I have 10mg Valiums & was wondering if it was safe to take that with methadone? I just want to get my life back & not be addicted to anything anymore. In the article above, I share how I used methadone for a week, then did a Valium taper for a few weeks to get off heroin. It was easy peasy! Tramadol is what im withdrawing from, so it wouldn’t help to use it to treat my symptoms. I didnt take much a 50mg pill 2x a day for about 3 months. My main thing is body aches and pains and being very tired and weak. Yes, you obviously wouldn’t want to use tramadol in that situation. Good thing there are plenty of other medications you can use. Ive been on high dosages of narcotics for 9 years. I want to take myself off but im most scared of the terrible with drawls. I do take klonopin as i have horrible anxiety. I use to take gabapentin as well. I really dont want to take methadone or the other. I want to do this with out needing to come off of other stuff as well. What do you recommend? Im afraid of the withdrawls. I know i can do this i want to do this but im scared. Please help. I was prescribed a moderate dose of Klonapin for 13 years… it was tough to get off, and my doc helped with this technique: He swapped me to Valium – can’t remember the conversion factor because it was 3 years ago. He is a pain specialist, and said valium is easier to wean off of than Klonapin (Clonazepam – generic), so he swicthed me to valium at an equivalement amount using the mg conversion factor, and every month, I took like 5% less Valium. He said that I’d likely do just fine until about 2/3rds down… then he said may patients would “hit a small wall”, where some lighter withdrawal symptoms might occur (for me, it was mainly the “tinglies”… sensation at night in bed, especially, when it felt like a trillion ants or spiders were crawling over me… and I couldn’t catch them. At that point, we back tracked a month, and he upped my valium a tad to make that go away. Then we titered the mg by like 1 or 2% – extremely slow… and within 6-9 months, I was done. IT WORKED! Those spider sensations lasted a day or two… that was it. I didn’t notice ANY other negative issues. H e said “finding that wall” closer to halfway to 2/3rds done was the signal to begin slow easing up. He said some don’t “find that wall”, but most do, esp if the person had been taking Cloinazepam for more than 5 years at more than 1 or 2 mg/day. I was at 3mg/day. Mine was to relax muscle walls to ease asthmatic episodes. I know it worked, because my asthmatic ascerbations have tripled in number & severity since I’ve been off Klonapin… but I didn’t want to be on Klonapin forever. Hope this may help you. My doc did say he at the time was helping 3 patients get off Klonapin… I was the most successful. I owe him a lot. Hi Matt- I went off Kratom which gave me similar symptoms as opiate withdrawal. My only lingering symptom is a tingling/burning in my head. It’s like an adrenaline/anxiety feeling. What do you suggest for this symptom to be relieved? I honestly don’t know what could help with the tingling/burning in head symptom, as I’ve never heard of that before. As for the anxiety, there are many things that can help with that. The most effective things I’ve found for anxiety while coming off kratom or other opioids are Klonopin, Valium, Xanax, Ativan, Librium, clonidine, gabapentin, and pregabalin, which were all discussed in this article. A non-prescription product you can use that can also help is phenibut, which can be ordered online but not purchased in stores. Finally, Calm Support is my favorite natural supplement for anxiety and other opiate withdrawal symptoms. I am wondering if you can take all these in this list together to help ease the withdraw systems? I have most of them I just not sure of the correct doses and if it’s safe to take all these together. Hi Jay, I would not do that. That’s way too many medications. It only takes one or two of these to get awesome results, and 3-4 at most, under the supervision of your doctor. Taking all 10 together would be extremely dangerous. Also, if taking methadone, then you would only need that, same for buprenorphine. Those ones are good enough by themselves. If you’re not using those two, then even just gabapentin or pregabalin by themselves could be great too, or maybe with an extra one or two medications. You’re fortunate that you have so many wonderful medications for opiate withdrawal. Just be smart and safe about it and you should have a relatively easy time detoxing off opioids. I really need help, but have real health issues. I’m sorry you’re having a hard time Evelyn. Are they health issues that require you to take opiates for pain, or something else? I’d be more than happy to hear more about your situation and see if I can at least point you in the right direction. Let me know if you want help from me. I’m praying for you. Hello please help I was on 70 mg of methadone and slowly tapered down to 28 mg with no issues and funding was cut so I stopped going to clinic scince I could not pay, last dose was sun am and been doing great till last night I was completely hit with the crazy legs, the bathroom has been the only place to venture too and I haven’t used heroine or anything else other than bud. I’m trying to fight this monkey 🐒 without abusing anything else but I don’t know what to do and folks keep telling me it’s only the beginning!!! Jo you need to use something to help you mitigate the symptoms. It’s only going to get worse and it will last at bare minimum a few weeks, if not months or even several months. You don’t need to abuse anything else. 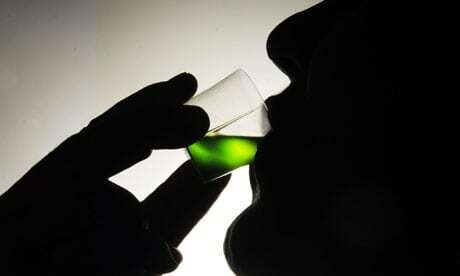 You can simply use opiate withdrawal remedies to reduce your symptoms severity. If you don’t want to take any medications, that’s fine. But there are dozens of natural supplements that can help in a major way, without a possibility of abusing them. I don’t want you to suffer needlessly. Why don’t you just use my mega-dose vitamin C method? 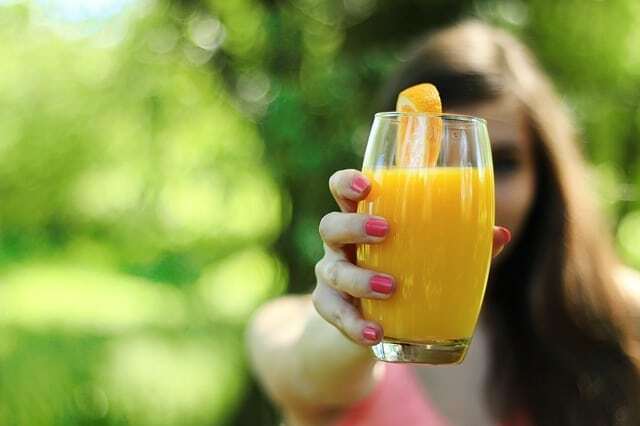 It’s natural, non-addictive, it works very well, and it’s very inexpensive…plus, you can go to the store right now and buy some vitamin C. I hope you study my website more as there are so many articles that can show you how to reduce withdrawal symptoms from home. I’m wishing you the best Jo. Hang in there okay? 10 years I increased very slowly and am now taking 30 ml day. I’m pretty sure a good part of the pain now is due to the addiction ,my body wants more. due to my back problem. I would be so appreciative of any advice you can give me. I really admire your awareness that the opiates are not helping as much anymore, and your courage to come off oxycodone and seek out additional remedies for pain that are non-narcotic. Please be careful with Lyrica! It can cause some really weird problems. It can get you to thinking committing suicide! Really freaky stuff. This happened to me and others. I had a client that used gabapentin and said that while it worked very well for her opiate withdrawal symptoms, it gave her such horrific nightmares that she wouldn’t take it again. Medications can come with side effects and I’d say that if something gets you thinking of committing suicide, it’s probably a good idea to stop fast!